“Murder or the attempt thereof often occurs while others sleep.” And thus begins a story where danger insinuates itself into the course of ordinary lives. Rod Cavanaugh is a regular guy. 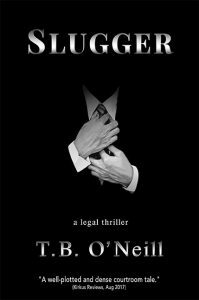 Suited for his job as a criminal lawyer, he adores his girls and loves his scotch. When the bottom fell out of his marriage, he thought he had enough to deal with–mistakes of his own doing. but that was before he became the target of a client in a deadly game of cat and mouse. Innocence itself will be challenged by the mob and a killer who stalks and bides his time.